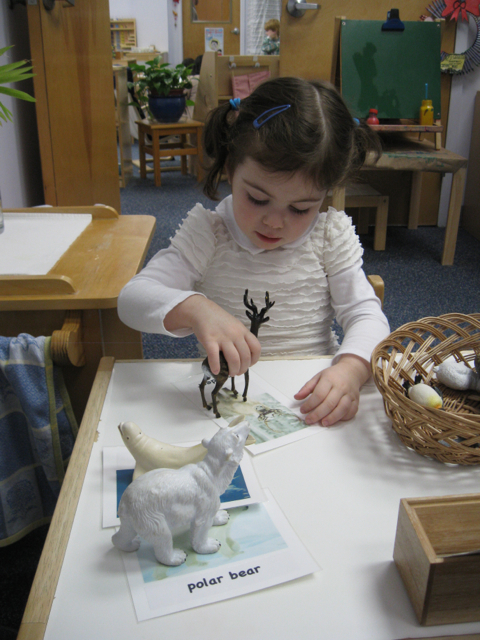 The Toddler 2 students were excited to explore Arctic animals this week. Along side “old friends” like polar bears and penguins are some less familiar animals such as a puffin, a beluga whale and a snow hare. Many children noticed that these animals are often white, like the snow, which led to interesting discussions about how animals adapt to their unique environments.